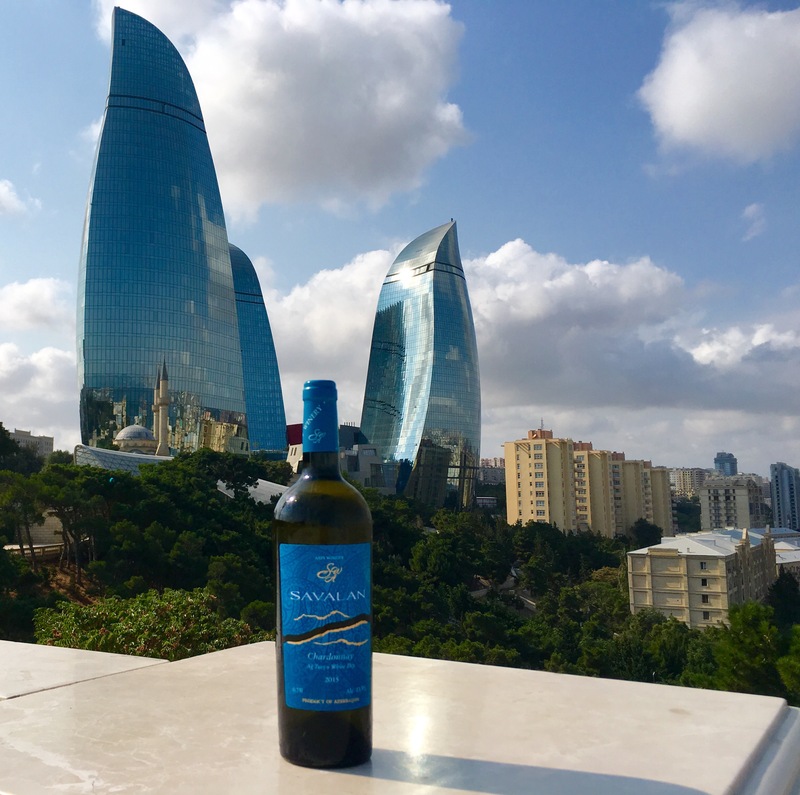 I took these photos during my trip to Baku, Azerbaijan this summer. 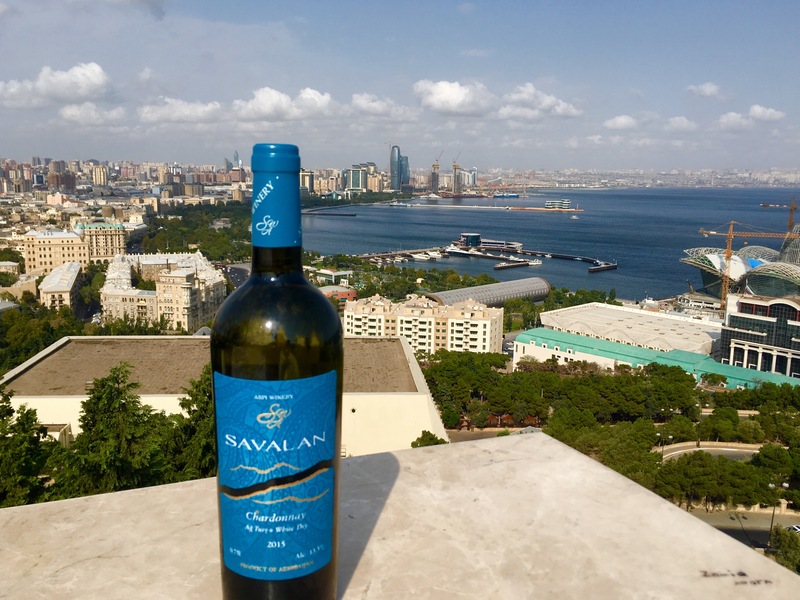 Savalan is a range of wines produced by ASPI winery in the mountainous region of Gabala, ca. 4 hours drive from the capital. 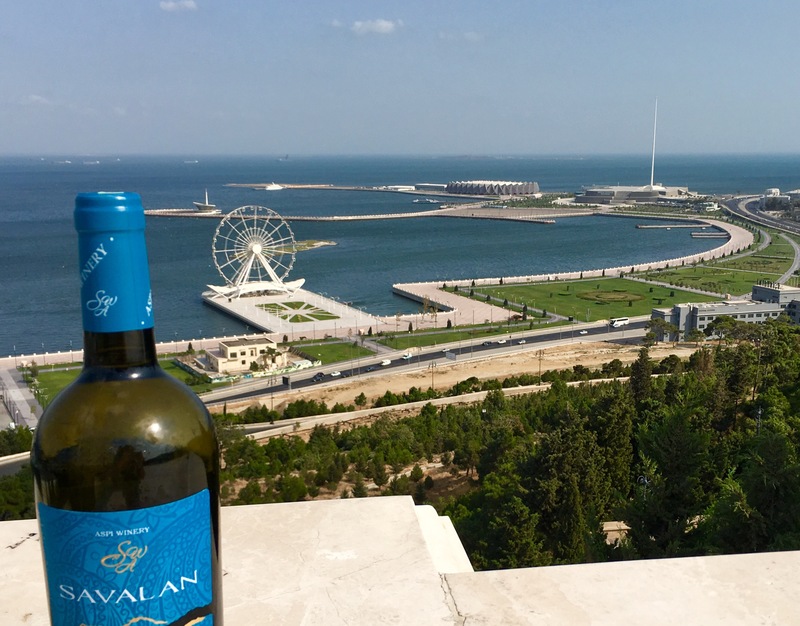 The “lucky” bottle who came with me for this mini-photoshoot at +35 C heat to pose at the panoramic point with a view over the Bay of Baku was a 2015 Chardonnay. You can find the tasting note for this wine here as well as the full travel report which includes some seriously delicious food, more wines tasted and impressions incl. Icheri Sheher, the Old Town of Baku, a UNESCO World Heritage site.